It is definitely time for a woman to be President of the United States of America. One very important reason is that women are superior at supporting infrastructure and maintaining the day-to-day operations. One of President Obama’s main platforms was upgrading as well as maintaining bridges, tunnels, highways. The male dominated Congress shot him down. Trump screams that America is in disrepair. After all, women restore, maintain, renovate and rebuild daily. I am heading off to a wedding and in one day I restored my hair to it’s natural sheen, trimmed the excess, reconditioned my nails, rehabilitated my eyebrows, overhauled any intrusive body hair, renovated my feet to their original glory, refurbished my face and returned my legs to their natural luster. That only took 5 hours. Can you imagine what a woman could do to this country in four years?! Step aside all you unibrow, non-metrosexual, ungroomed, square toed shoe wearing, red tie sporting, ill fitting suits. 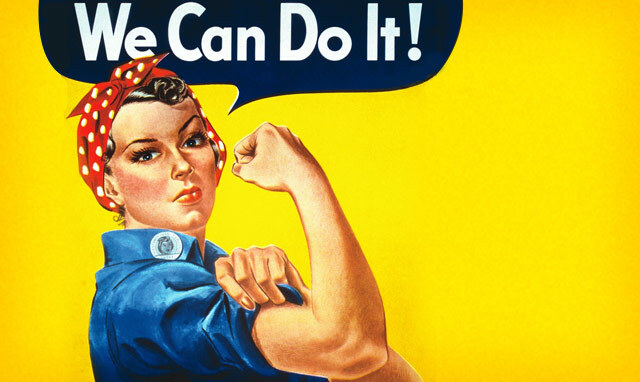 Let a woman handle America’s HUGE need for urban renewal.